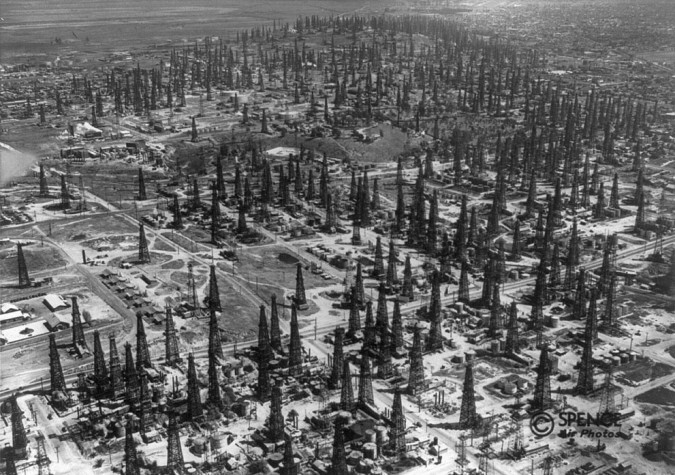 Yesterday, The Atlantic- one of the most prestigious magazines in the history of the country- released an amazing collection of photos chronicling the evolution of California’s oil fields. 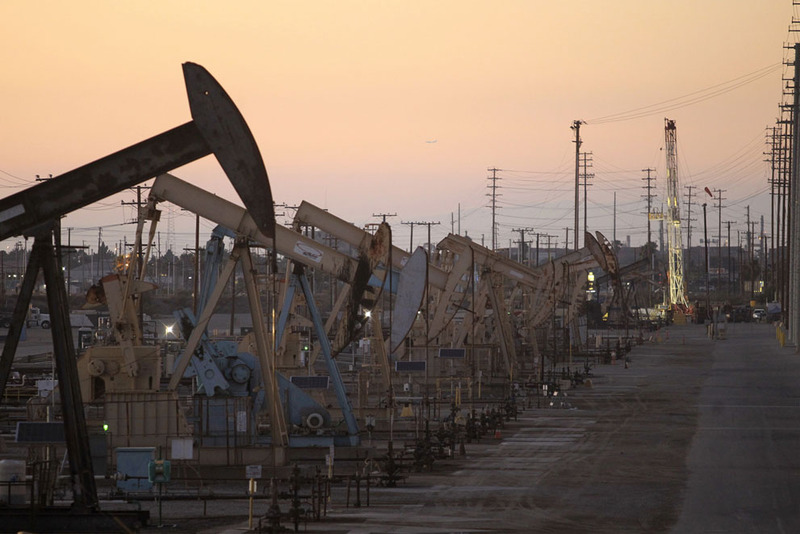 For those that are unaware, California became a major oil outlet during the late 19th century, and by the early 20th century had even become the United States leading producer of the good. The upward trend of oil production continued on in the region for decades to come, to the point of becoming responsible for nearly one quarter of the entire world’s oil output in 1930. The culture of the area, of course, has lived on through story and film, cementing its legacy alongside the California Gold Rush and other infamous entrepreneurial endeavors. Arguably, the epoch of this artistic exploration came with the 2007 Paul Thomas Anderson film, There Will Be Blood. In the movie, audiences take a deep, introspective look into the sometimes clashing culture as business tycoon Daniel Plainview looks to capitalize while battling hesitant locals. To this day, the oil rich culture continues on in California, as seen in the collection of photos. 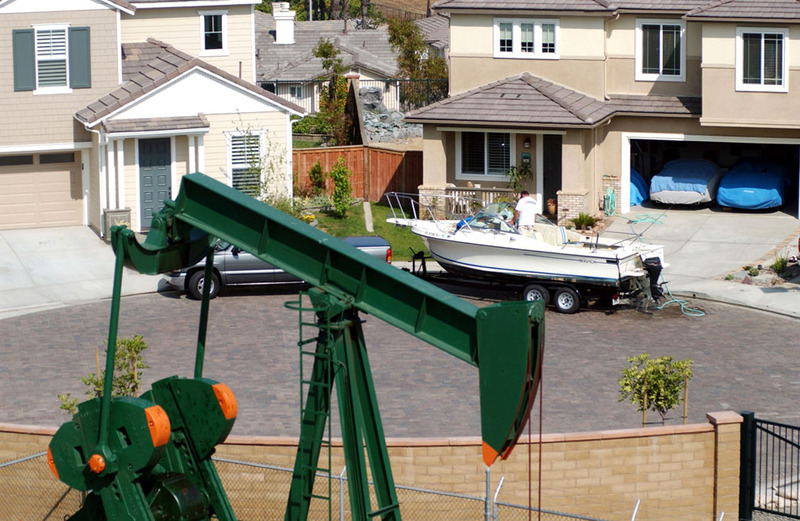 In backyards and business lots, oil derricks can be seen pumping during everyday life. It’s all art of the evolution of acceptance that has come over the years between citizens and business, working side by side. 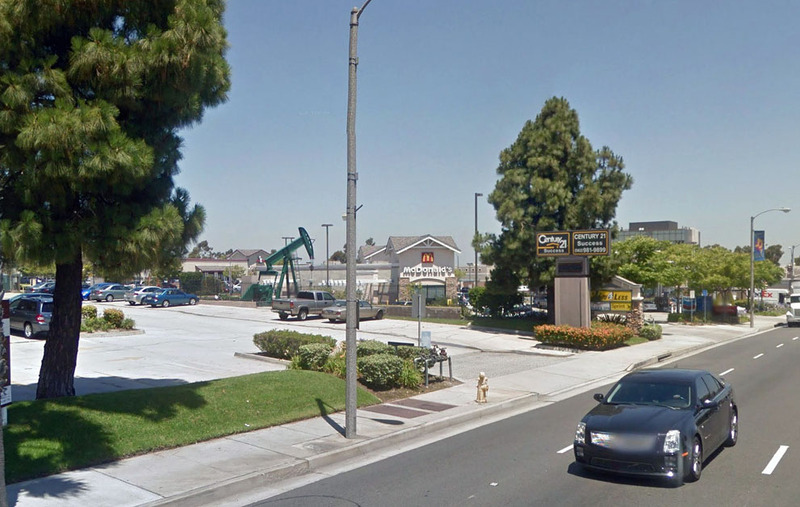 An oil well placed in a Long Beach neighborhood, just a few miles from the Shell Oil Company Headquarters. 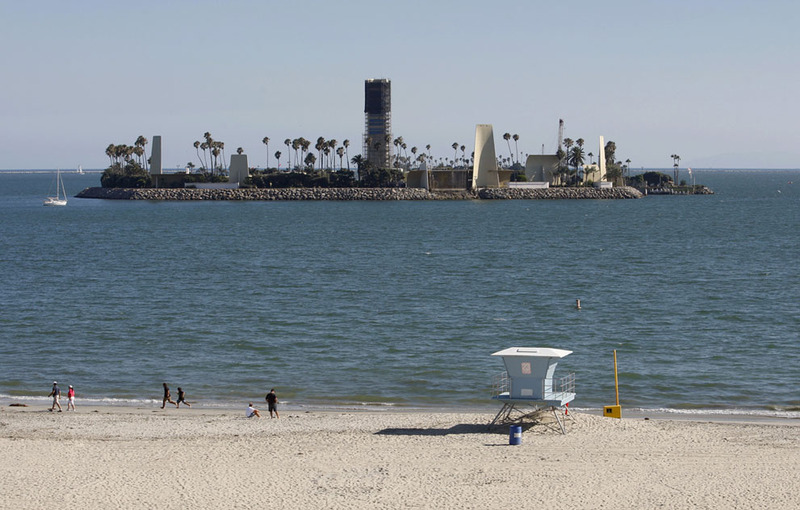 Occidental Petroleum Company sets up rig on beachfront view. 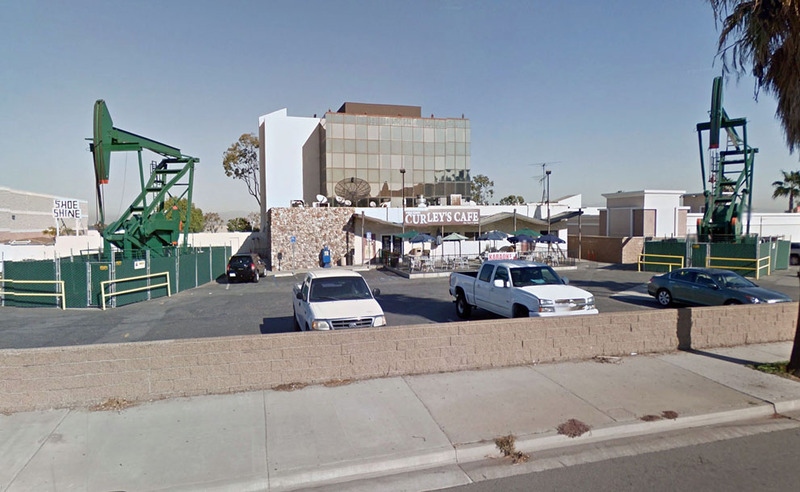 Curley’s Cafe sandwiched between two huge oil rigs. This entry was posted in Culture and tagged california, history, oil, photos, The Atlantic, There will be blood. Bookmark the permalink.